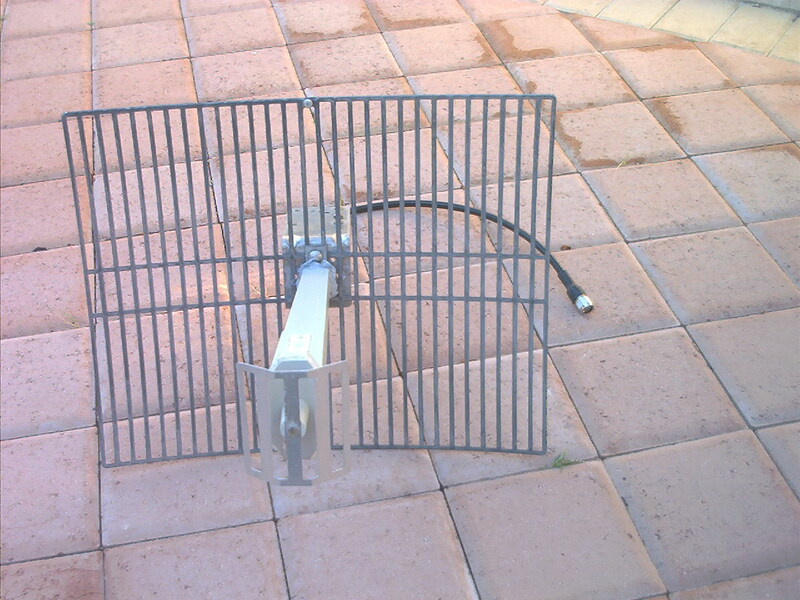 We thought it would be prudent to check the performance of our converted 18dbi galaxy antenna. To establish a baseline, we used an antenna which we have empirically found to be our best performer, the 24dbi conifer you can see below. 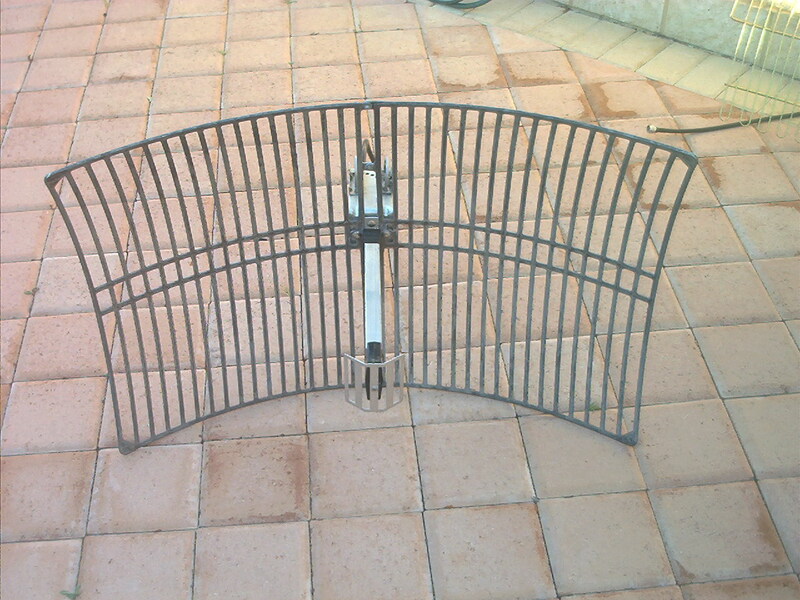 The remaining antenna, the Lance Industries, we bought almost a year ago and had consistently average performance. 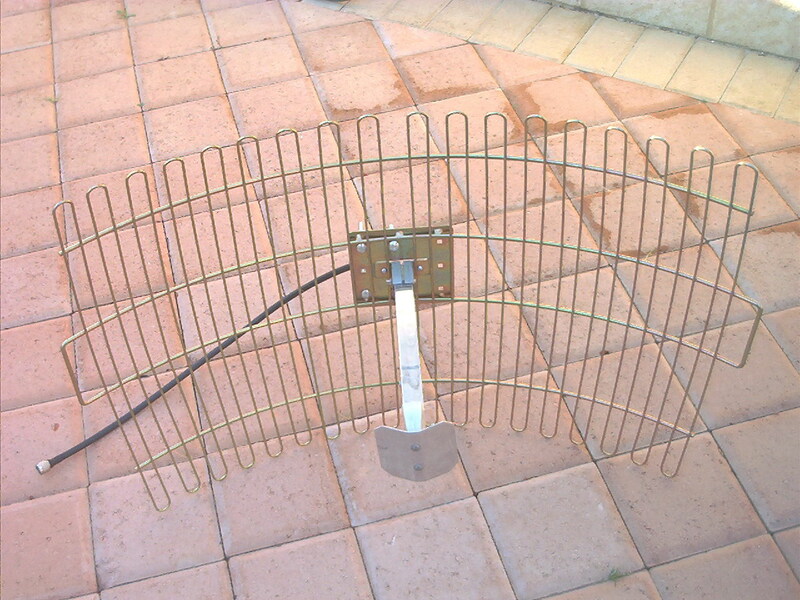 From left to right, an 18dbi converted Galaxy antenna (originally a conifer MMDS antenna with integrated downconverter), a lance industries 24dbi antenna sourced from www.allthings.com.au, and a 24dbi Conifer, designed for the ISM band. So we threw them all in the back of the van, and drove to a good spot near Lake Monger. After choosing a relatively tree-obstructed path to an access point we knew of in QV.1 (on purpose, we wanted a difficult path), and we operated exclusively hand-held. We also kept a minimum of time between each test to minimise environmental effects. The path was around 5kms, it was a very rainy day with very wet trees, and we were not on beam from the antenna out the window. The results are arranged in the same order as the antennas are pictured above, from left to right 18dbi galaxy, 24dbi lance and 24dbi conifer. Particularly of interest is the marked difference between the 24dbi conifer and the "24dbi" lance .. the lance (at a guess) would be a bit more like 20dbi. The noise floor of the conifer 24dbi is also a particularly interesting statistic, it's almost as if the antenna gain is doubly offset by having increased signal, as well as a lower noise figure(!). Conifer 24dbi by a mile. But the converted galaxy put in an absolutely fantastic performance for the price.